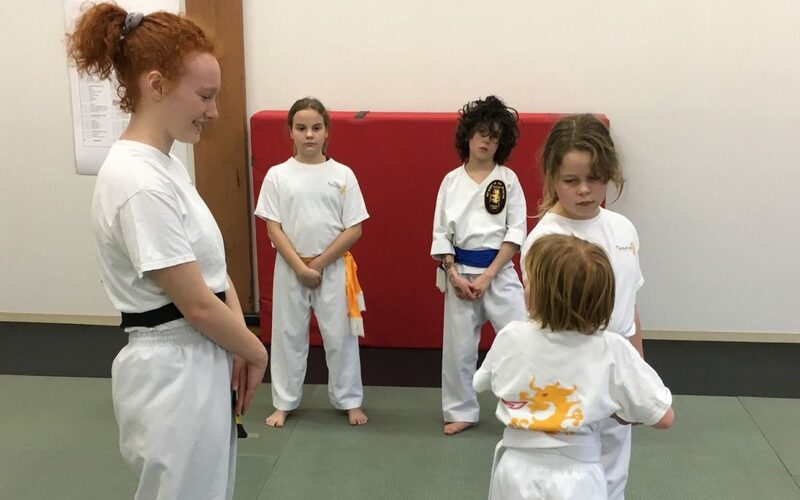 In the art of Poekoelan Tjimindie Tulen, it takes more than just a physical ability to make it through a black belt test successfully. Sure, we raise incredible fighters at Naga, but our Black Belts must also demonstrate incredible fortitude, resilience and strength of character. Confidence, humility, compassion and leadership are just a few of the characteristics you will find in our Black Belts. Mas Sarah wrote a beautiful college essay (which landed her a spot in the school of her dreams!) and is allowing us to share it with you. Thank you, Mas Sarah, for putting a most challenging piece of your journey into words. 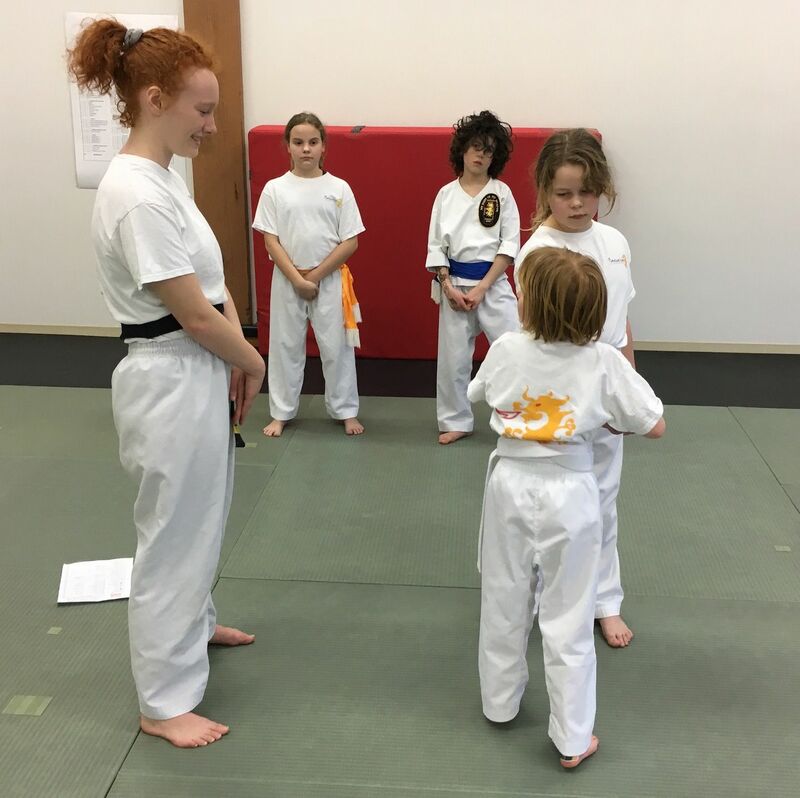 Sarah passed her Black Belt test in March of 2018 and has gone on to study at Swarthmore College in PA. We miss her and love it when she comes to visit! The white belt grins as she scampers off for a water break. Her excitement reminds me of myself when I started training martial arts four years ago, in sixth grade. I practically lived at the Poekoelan school, learning and eventually teaching. The practitioners became my second family, especially the two head instructors, Silvia and Jeff. They taught me to be confident, commanding, patient, and humble. In middle school, I strove to progress through the ranks quickly. The tests became more difficult, from an informal assessment, to a 6-hour evaluation, to my most recent test with 12 hours of physical demonstrations followed by 12 hours of meditation. My goal is to do the 10-mile run, 250 push-ups, and 24 hours of meditation required for my black belt test before graduating high school. My student returns. “Time for meditation,” I tell her. “Breathe in through your nose, and out through your mouth. If you made mistakes during class, let them go.” I feel my body relax. A year later, three weeks before my test date, I am studying nuclear physics when an email arrives from Silvia. My eyes widen. “I need to let you know that Jeff’s dad is dying…we may need to reschedule your test.” My stomach contracts as if I’ve been punched. I fervently hope that Jeff’s dad will recover. I have been training so hard, and I don’t want to reschedule. I can’t bring myself to reply. That night, thoughts bombard me. The whole situation seems so unfair. I hate that all the energy I’ve put into preparing could be wasted. Although I don’t know Jeff’s dad, I am sad about his illness. I try to imagine how Jeff feels. Wanting to calm down, I attempt to meditate. I picture Silvia and Jeff. Slowly, my bitter heart fills with love for them. I want to support them in this difficult time, and the last thing they should be focused on is my test. “Thanks,” Jeff says, and his voice catches in his throat. I wander back into the studio. I notice students working on their kicks and grab a pad for them to target. “See if you can move a little faster,” I coach one student. His kick knocks me backward. I smile. “Awesome! One more time.” Glancing around the room, I see martial artists, but I also see my family. I still want to get my black belt, but that is less important than being part of this community that I love. That is beautiful Mas Sarah. What a shining example you are of gratitude for your community and empathy for what others are going through. I am so glad my daughter is getting to train with you.